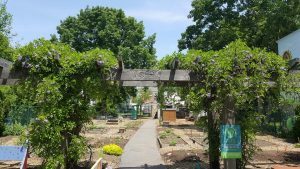 Located across Pottstown, our gardens are the centers of the community and serve as an opportunity for community members to come together and grow something amazing. Located on the grounds of Barth Elementary, the Barth Garden is a vibrant garden that has become the hub of the local community. 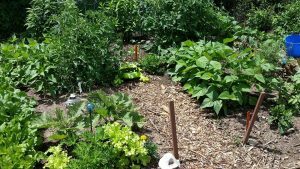 Located at the corner of Charlotte and Walnut, the Permaculture Garden is a space dedicated to growing plants that you might find in a traditional garden. It also serves as a place of meditation. 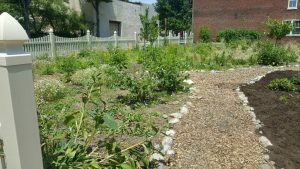 Further down Chestnut street (just a few blocks from The Hill School), the 615 Chestnut St garden is a community garden that is well-tended by the local community. With its grand mural and pergola, the 400 Chestnut St Block Garden often serves as the location of many community meetings. It’s a grand garden well-tended by the local community. Follow the link below to find out more information on how to lease a garden plot.